Negril, Jamaica –29 May 2018 – Rondel Village – A unique family owned and operated boutique hotel on Negril’s famous 7-mile beach, today announced that it has received a TripAdvisor® Certificate of Excellence. Rondel Village offers spacious, elegant accommodations amid lush tropical gardens. This enchanting paradise with personalized service, is a Travelife certified environmentally friendly hotel. Rondel Village has 56 rooms including eight villas, each named after individual Jamaican fruits. A luxury spa and salon is an added feature for the convenience of our guests. 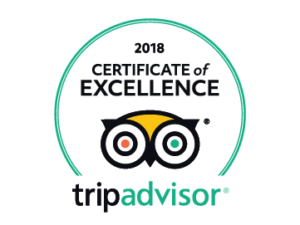 “It is indeed a pleasure to receive the Trip Advisor Certificate of Excellence for 2018. We wish to thank our guests for consistently providing excellent reviews which have enabled us to receive this award for the last five years,” said Carolyn Wright, General Manager, Rondel Village.